Have you been waitlisted to your top choice MBA program? 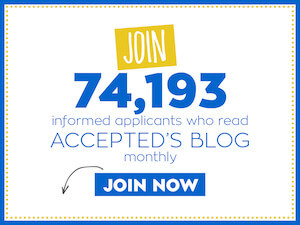 Are you looking for tried and true tools that will help you gain acceptance from the waitlist? Check out the transcript from our recent Q&A, 2013 All You Need to Know About MBA Waitlists Q&A with Linda Abraham, CEO of Accepted.com, for advice on all aspects of the MBA waitlist. What is the ideal frequency of emails to the waitlist manager? Is there strategically a good time when to send my letter, i.e. right away versus waiting until round two responses go out? Is it acceptable to say that you have registered for an online class recently? There won’t be a grade to report back, but would this effort make a difference? Most schools say a visit to campus does not affect decisions because they don’t want to penalize people who cannot make it. But, can a campus visit help show interest and passion that may help a waitlist candidate? Is it true that schools do in fact rank the waitlist? If so, when do they typically begin that ranking? Do you suggest we sit tight for schools like HBS who say to send in nothing? For the complete conversation, including answers to these questions, please check out the 2013 All You Need to Know About MBA Waitlists Q&A transcript or listen to the audio file.